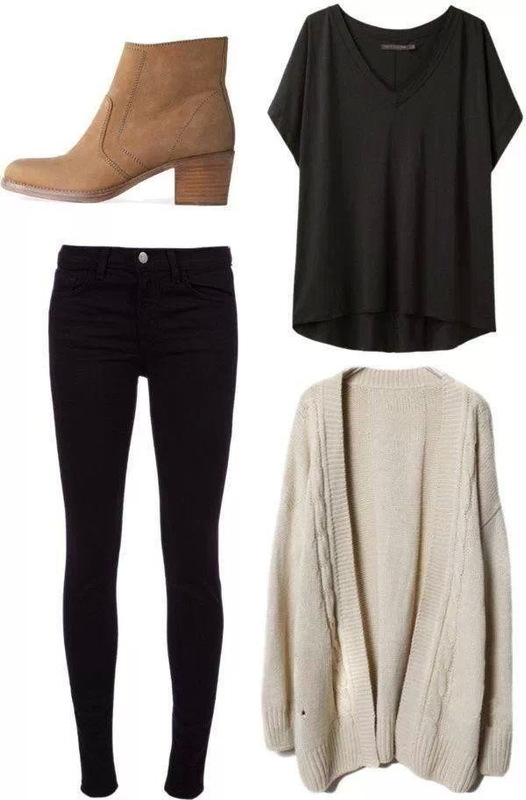 So, you are looking for winter and fall casual outfit ideas, right? You might be wondering, what are the best essentials to make you look trendy and feel comfort. I am here to show you some of the best outfit ideas to wear in your everyday life. 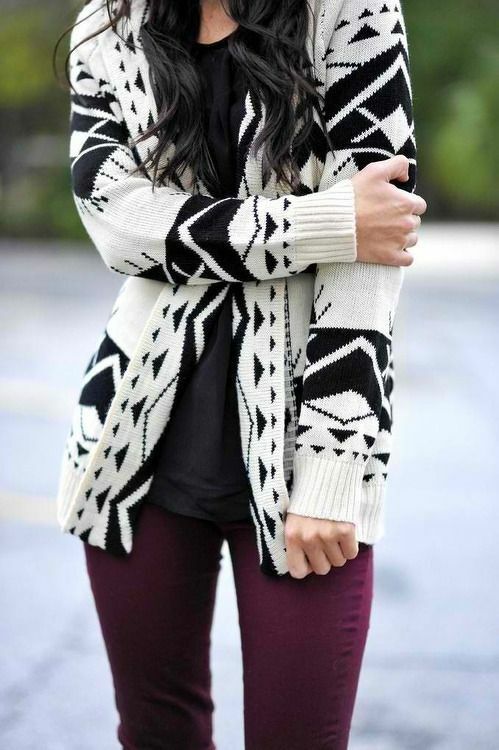 Monochrome tribal print cardigan looks absolutely gorgeous paired with plain black tee and burgundy skinnies.